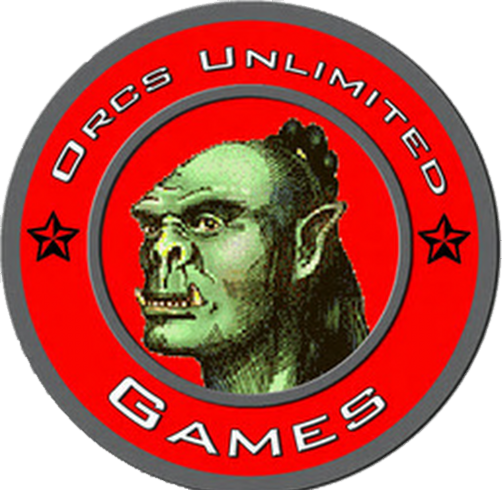 Orcs Unlimited is a game company long in the making. I have always wanted to sell my games and with the help of friends, family and ePublishing here we are. We love all types of games but the pen and paper RPG has always been the staple. Our game night has always been “poker night”. Food friends and a fun game to bring everybody together. After many home grown games and campaign settings and encouragement from friends and family, we have decided to start this company and bring the games we love to you. I love making simple board games for my kids. They learn to take turns, some basic math and we have some family fun. Now we will be bringing the first of our board games to you soon. The best part of the new game is when you spit soda on the game board you can just print a new one.